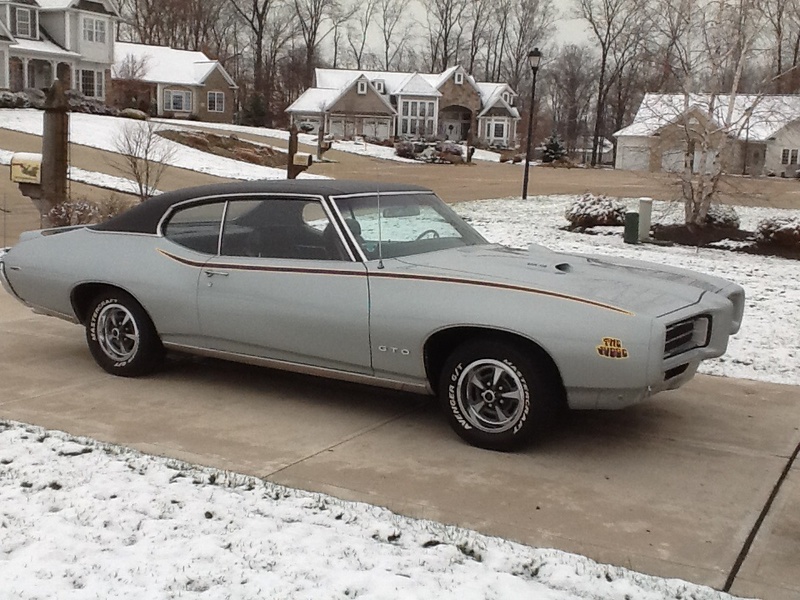 The Judge was a version of the GTO that first began production in January 1969. It was produced from 1969 to 1971. Although most Judges were coupes, a few very rare and valuable convertibles were made. 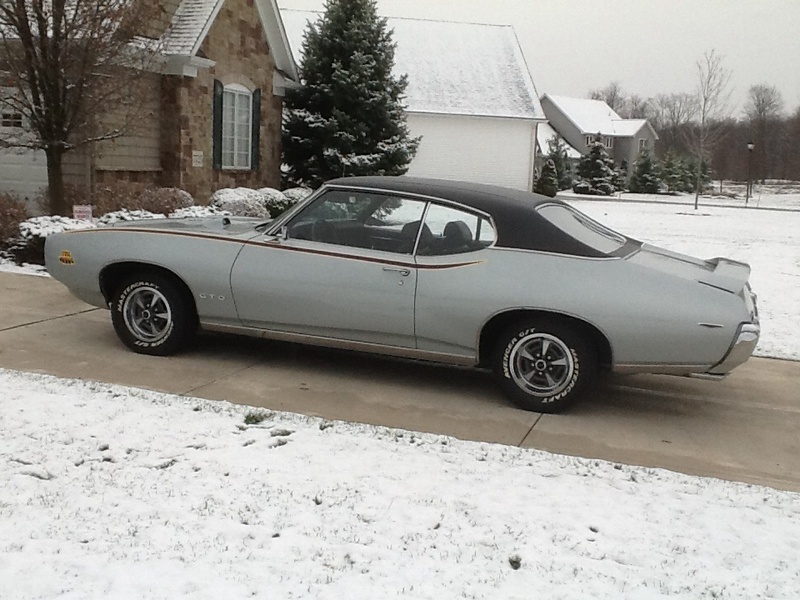 My Judge is a 1969 model built in Arlington, Texas in March 1969. 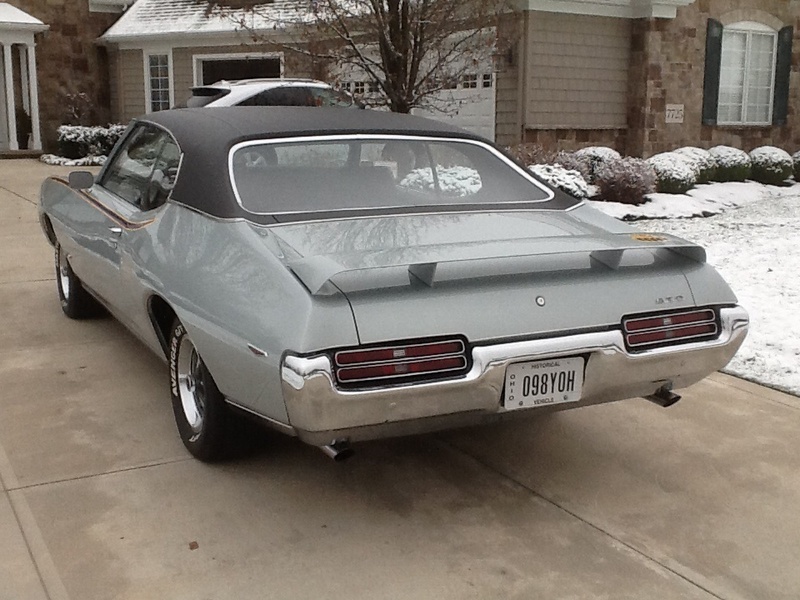 It was sold in May of 1969 by a dealer in Tyler, Texas and spent its first 26 years in Tyler. 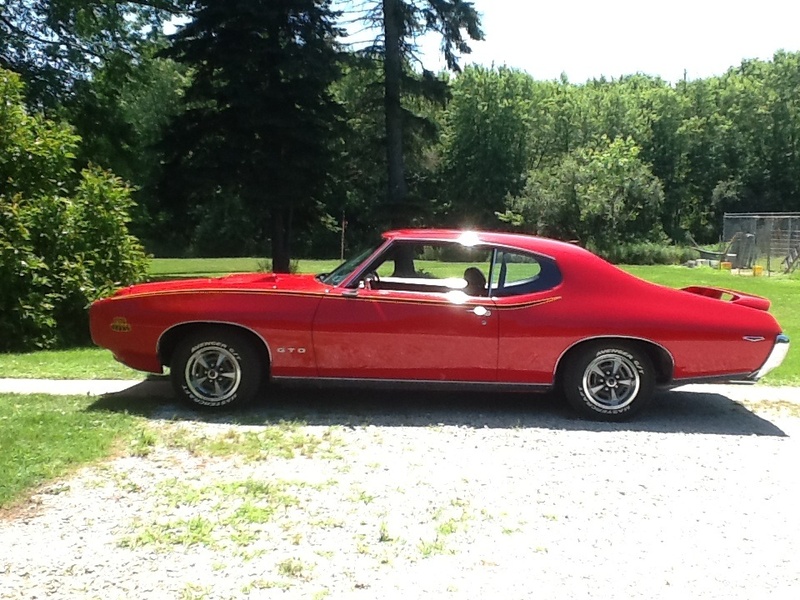 The 1969 Judge option took a GTO and added a Ram Air III engine, rear deck spoiler, special graphics, and Rally II wheels. Very popular in early Judges was an orange hued color called Carousel Red. My car is currently a traditional red. The origins of the Judge go back to 1968 when John Delorean, then General Manager of Pontiac, wanted a muscle car to compete with the Plymouth Road Runner. Originally the concept was designated ET (for elapsed time), and was to be a low content direct competitor to the Road Runner. Delorean, however, decided to add options to the car (it was a Pontiac after all, and not a Plymouth) and call it The Judge. The car’s name came from a very popular weekly television show at the time called “Laugh In.” A regular feature on the show was Sammy Davis Jr.’s impersonation of a judge, and his weekly announcement of, “Here come da judge.” A catchy popular phrase at the time turned into what would later become a very collectible car. I was fortunate that the three previous owners retained important documents that relate to the authenticity of the car. 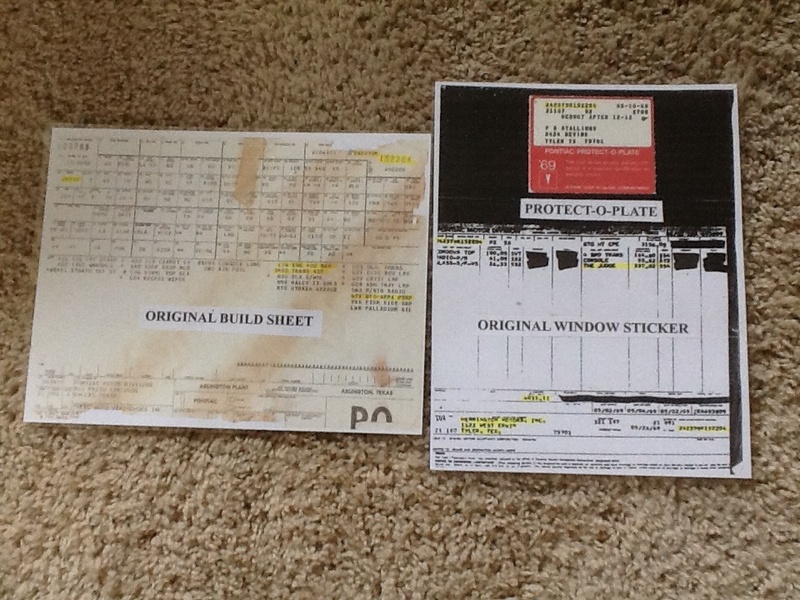 These include the build sheet, window sticker, and the Protect-O-Plate. The build sheet followed the car down the assembly line and told workers what to put on the car. It was usually found under the rear seat after the car left factory. The window sticker listed the options and MSRP. The Protect-O-Plate was a plastic card used much like a credit card when warranty service was required. The build sheet and window sticker show that the car is not only a real Judge, but that its original color was Palladium Silver. Apparently during an early 90s restoration, the color was changed to red. The Texas sun had left portions of the red paint on the hood and trunk cracked, so a repaint was necessary. The car is now in the body shop and will be completely stripped and brought back as Palladium Silver. Although not as “in your face” as Carousel Red, it is the original color, and, since nearly all of this car is otherwise correct, she’ll be silver. The car’s documentation also indicates that this Judge came from the factory with a black vinyl roof. A vinyl roof on a Judge is pretty rare, and, although I would prefer to leave it off, in the interest of originality it will go back on after the paint has sufficiently cured. 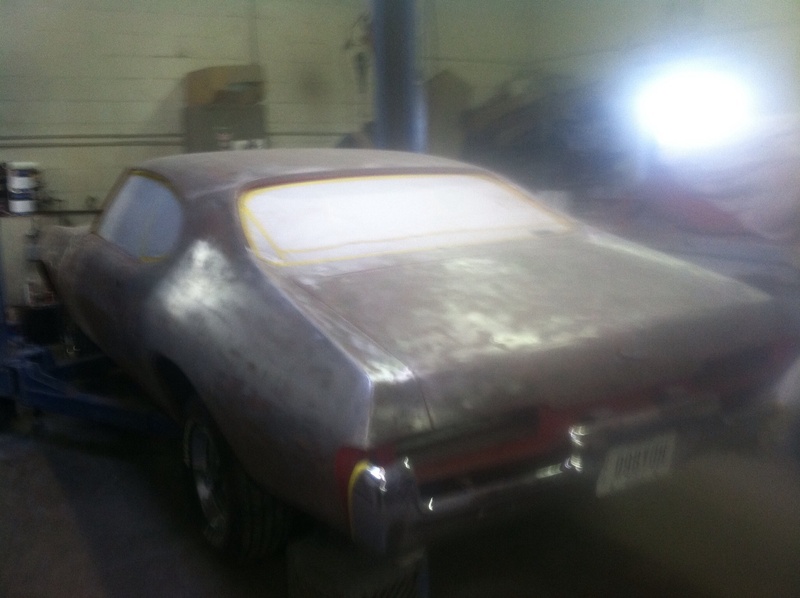 Although the Texas heat may be hard on paint, the Texas climate is great for maintaining solid original body panels, frame, trunk and floor pans. Such is the case with this car. I have recently spent considerable time sanding and repainting the undercarriage. The very solid, rust free original condition made the job comparatively easy. Next on the list of things to do was replacing the 4.11 rear end gears with the original 3.55 ones. The 4.11’s are great for acceleration, but are not comfortable for highway driving. Also, any semblance of fuel economy is a mere rumor. The original 3.55’s have gone back in to make the car more driveable, and to restore its originality. While the car was in the shop I also had the clutch replaced and a balky brake light repaired. In addition, I replaced the backup light switch, and had a new headliner installed to replace the original worn one. Before going to the body shop, I was able to enjoy driving the car. It is truly a joy to experience the car’s rapid acceleration while taking the factory Hurst shifter smoothly through the gears. I can’t wait to get it back and continue with freshening the engine compartment and trunk. The car went into Cruizin’ Dreams in Mentor, Ohio in mid-September with a promise from Gary, the owner, that it would be finished by mid-November. Gary, and his assistant Sean, planned to strip the existing red paint to bare metal and repaint the car with a Palladium Silver base coat/clear coat finish. The clear would be left off the top to allow better adhesion of the new vinyl roof. In the meantime, my job was to search for parts needed for the restoration. One of the hardest things to find was the vinyl top trim. After a lot of searching, I was able to locate the seven pieces and attaching clips on eBay. 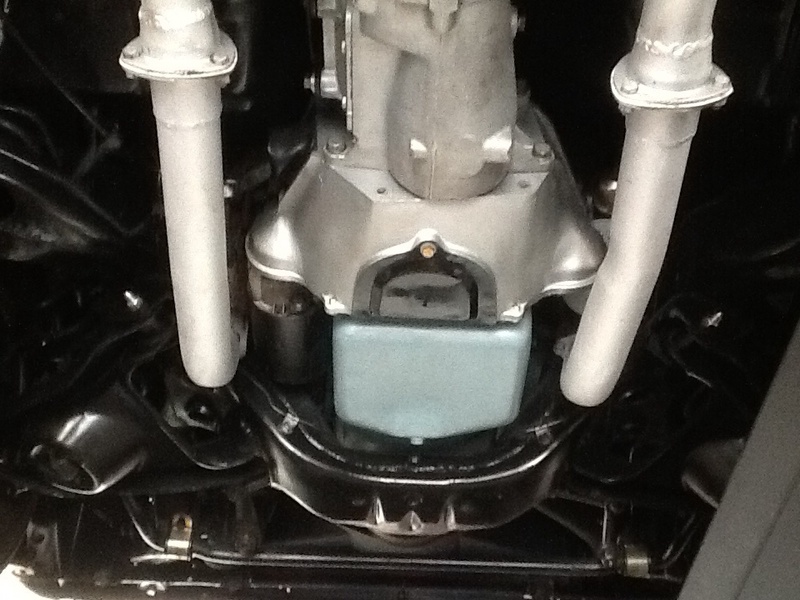 Almost as difficult to locate were the console hinge and rear outer bumper snubbers. I was finally able to find them at Patomac Pontiac. Other parts, including weatherstripping, gaskets, rubber bumpers, and Ram Air components were purchased from Year One and Ames. The Judge and Ram Air decals were found on eBay as well as an original Delco radio to replace the after market one that came in the car. The hood mounted tach on the car did not work, so I took it to a local instrument repair specialist. After looking it over, he told me it was repairable but would be more costly than the tach was worth. He suggested that it be replaced with a good quality American made unit. I was able to find one on eBay. Finding parts can sometimes be a challenge, but I really enjoy the hunt. It’s a great way to learn about the car and talk to other car people. While the car was at Gary’s shop, I called or stopped in on a regular basis to see how things were going. Gary and Sean met each inquiry with patience and always took the time to fill me in on what had been done, what was coming up, and any parts they needed. 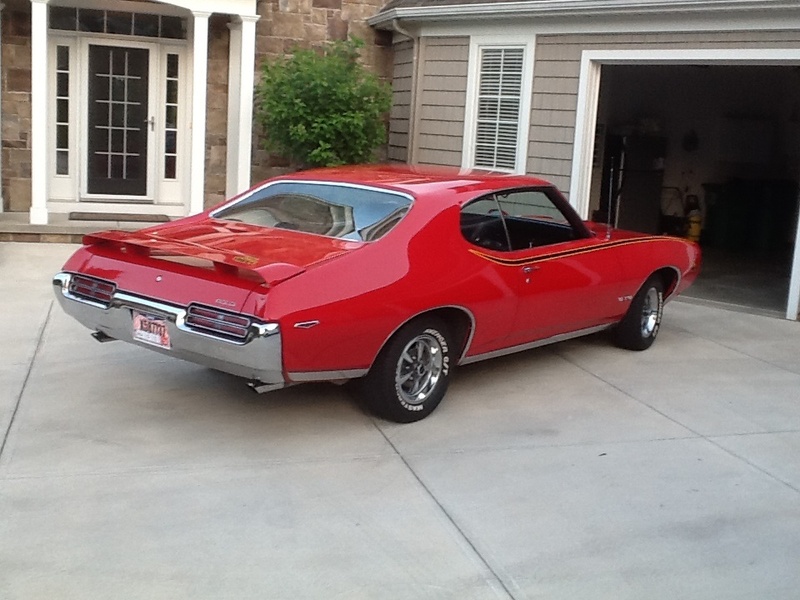 I had the feeling that both of the guys were enthusiastic about working on the car and wanted to bring it back to as good or better than the original car as delivered to Herrington Motors in Tyler, Texas in May of 1969. The restoration began with removing all of the red paint, and replacing a couple of credit card size areas of the body that had some pin holes of rust. The body was carefully inspected, and any imperfections were filled and sanded. 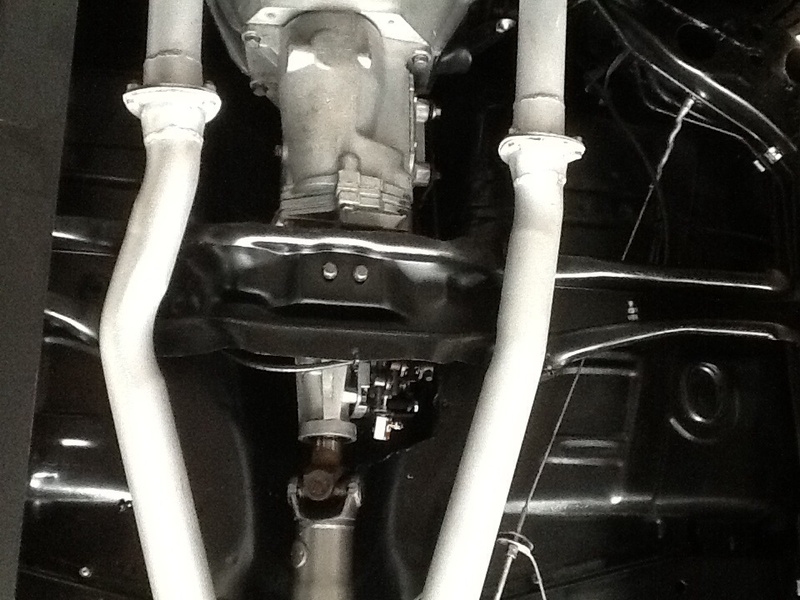 The car was then given two coats of primer, block sanded between, and, again, inspected for imperfections. 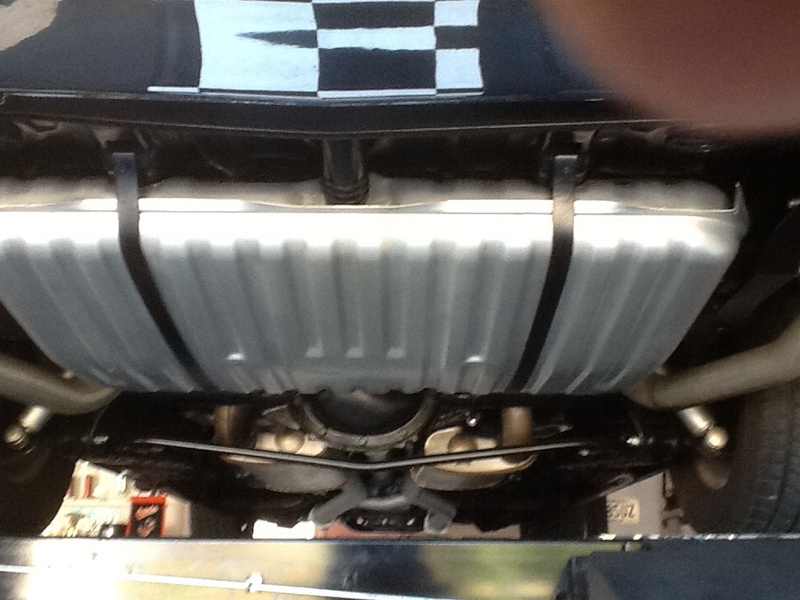 The door jambs and edges were painted, as was the underside of the trunk. The body was then given three coats of base and three coats of clear, block sanded and buffed. All of the trim and other parts removed before painting were re-installed and the car was washed. The final result was a car that was likely much better than the one that rolled off the assembly line in Arlington, Texas in March of 1969. The car sure looked great. 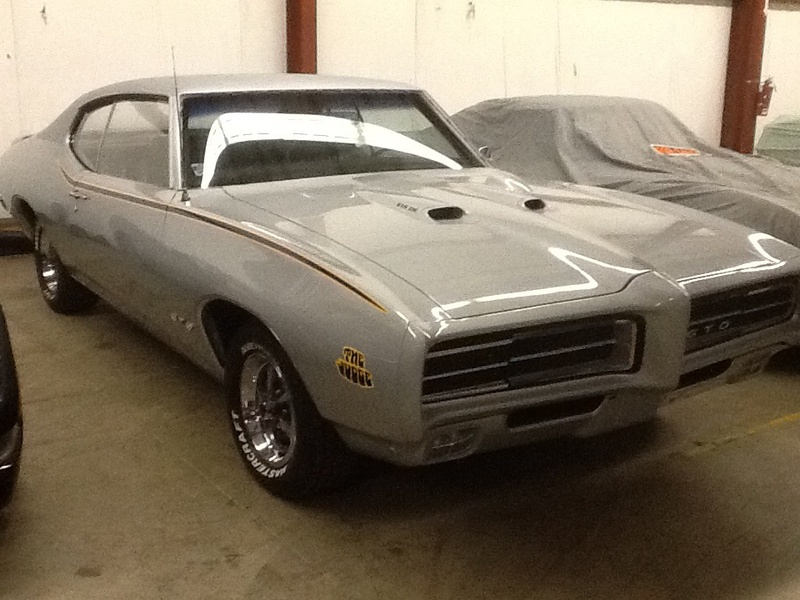 Gary and Sean at Cruizin’ Dreams had done a painstaking job of restoration. Any qualms about bringing the car back to its original Palladium Silver were erased. Now it was time to apply the judge decals and have the vinyl roof installed. After picking up the car at the body shop, I couldn’t wait to apply the Judge stripes and decals. 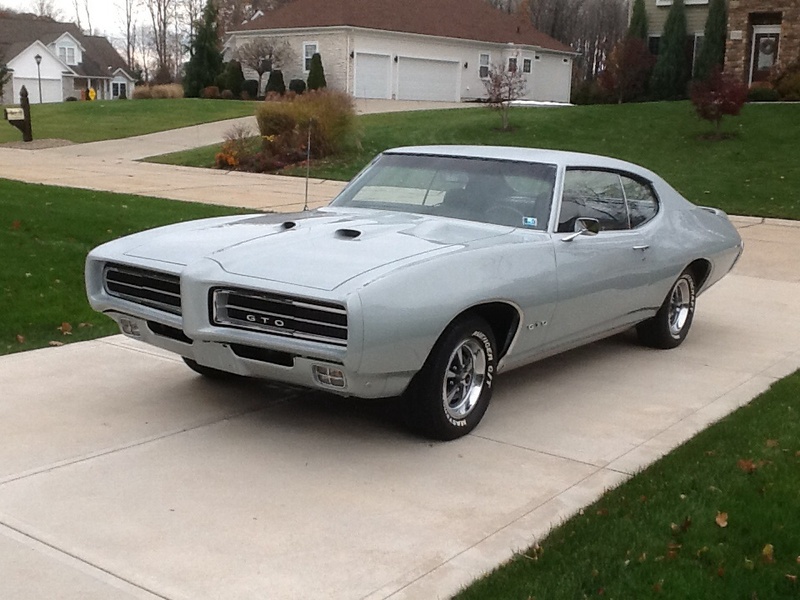 After all, it’s those brightly colored additions that identify the Judge as a special GTO. Before the original paint and stripes were removed, I measured and recorded, using a digital camera, the location of the stripes and decals. Referring to the photos, I was able to transfer the correct locations of the decals to the repainted Judge. I found that an erasable China marker worked great for marking key reference points on the body. After the key points were located on the car, my wife and I applied the decals. We first mixed a dilute solution of dish washing soap and water and filled a spray bottle with the solution. We then sprayed the mixture on the car and peeled the backing off the decal to be applied. Before final placement, we also coated the back of the decal. This allowed some minor movement of the decals before finally pressing them into place. Finally, we peeled off the front protective paper and made sure all bubbles were eliminated. After a couple of hours of painstaking care, we took a step back to admire our handiwork. The car looked great. Anyone now clearly knew the car was a Judge. It was time to have the vinyl roof installed. A Judge with all it’s stripes. The vinyl roof was always a point of discussion. The car looked good without it, but it came from the factory with a black vinyl top. In the continued interest of originality, the vinyl roof went back on. It turned out great. 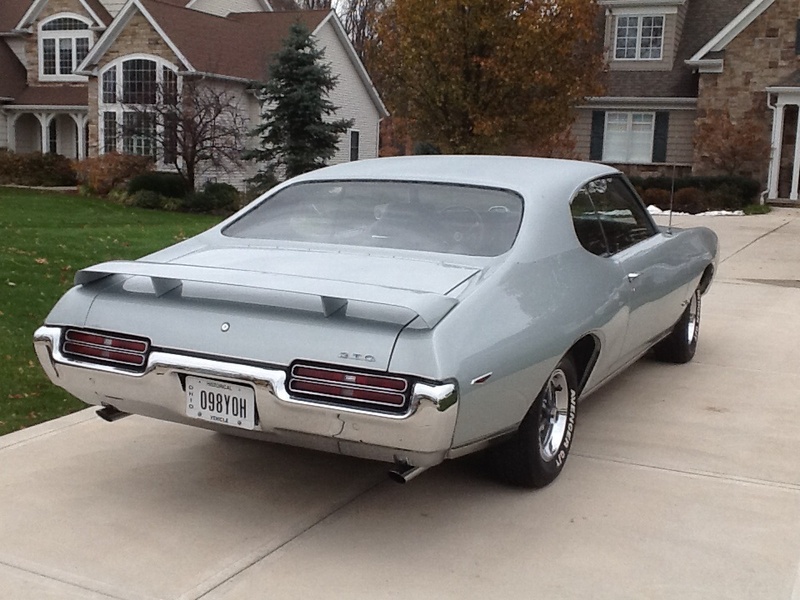 It was now time to take the car south for the winter and detail the interior, trunk, and engine compartment.